I found this on a google feed and thought it was quite unique. I have not seen these before and I thought they were interesting. It’s called a “Fortel Knife”. They are made in Russia. The company that sells them calls them “the Transformer Knife”. This is a link to the first video I found on them. This shows the smaller knife the man in the video mentioned. This link shows the different knives they have for sale. I probably will not buy one. I just think they are interesting. What unique and interesting knives have you found? It's just my knife and fork Officer. They got bored making Putin dolls? A peak for the eyes?? In CA that would likely be considered a "tuck" and be a felony to possess. Yeah, I wouldn’t doubt that one bit. 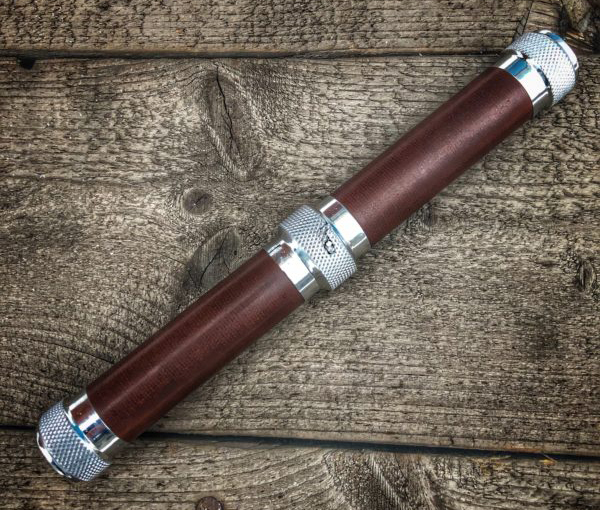 I would bet they would see this as a “cane sword” and hit you with a felony. My Dad had a M. S. A. Co (Marble's) Safety folding knife. I rode in his creel or pocket or pack the whole time he was alive. It's all metal and the handle folds open to let the blade out, then closes to lock the blade. Dad never took much care of it, rinsed it off and put it away is about all. The whole thing is in pretty bad shape but I kept it because, after all, it was DAD'S knife. A couple of years back I found one marked Marble's one one side and Safety on the other. Seems Marbles stopped making them and has a warehouse full fo blades left over. They found a Chinese outfit that will make them almost identical to the originals except the handles are aluminum instead of plated brass. For under $40.00 I couldn't pass it up. Unusual? You bet, but most of Marble's stuff was somewhat unusual and was highly useable to boot.